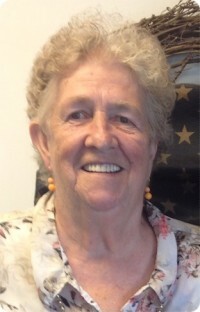 Kathryn Ann Hartle, 79, of Butler, PA, passed away Thursday, December 20, 2018, at VNA Inpatient Hospital in Butler. She was born May 14, 1939 in Sligo, PA, the daughter of James E. and Dorothy Pearl (Barger) Hoover. Kathryn lived in Butler County for most of her life and was a former member of St. Peter's Reformed Church of Fairview. From 1959 to 1962, she was employed at the Parker Glass Plant and then worked in the cafeteria for the Karns City School District. Kathryn was happiest when spending time with her family, especially her grandchildren. Her memory will be cherished by her son, James Michael Hartle, of Fairview Twp. ; daughter, Amy Sue Manuel and husband, Michael, of Fairview Twp., grandchildren, Brooke Arin Manuel and Adam Michael Manuel, both of Fairview Twp. ; brother, Alfred L. Hoover and wife, Shirley, of Lancaster; two nieces; and two nephews. Kathryn was preceded in death by her parents; husband, Chester O. Hartle, whom she married April 3, 1959 and who died February 20, 2009; and sister, Charlotte Mohr. At Kathryn's request, services will be private.